See our full archive of ExxonMobil's paid New York Times "advertorials" from 1972-2004. This week, Inside Climate News has published some new revelations about one of the world’s biggest oil companies: that scientists working for Exxon knew about climate change as early as 1977. Exxon’s own scientists conducted an extensive research program on climate change and "The Greenhouse Effect", running complex CO2 monitoring experiments and publishing peer-reviewed papers, because the company was deeply interested in this emerging threat to its core business, oil, and ultimately the company's survival. There is now no doubt that Exxon has known about the science and the risks of global warming for decades. The news will perhaps be of great interest to those lawyers who successfully prosecuted the tobacco industry, which hid its knowledge of the science around tobacco’s addiction, and the impact of second hand smoke. Because, despite having this breadth of knowledge within its walls, and for many years after these climate science programs were run at Exxon, the company has spent years and millings of dollars funding climate deniers and think tanks who attack the scientific consensus, spreading doubt and uncertainty. Greenpeace has collected data on Exxon's campaign of climate denial for decades. Our ExxonSecrets project and database now shows that has spent nearly $31 million since 1998 funding think tanks and campaigns against the climate science consensus and climate policy progress. For decades, Mobil ran a weekly “advertorial” or "op-ad" on the opinion pages of the New York Times and other papers, ads that continued after Mobil merged with Exxon in 1999. The story of how Mobil managed to secure advertising space on the editorial page of the New York Times and why they did so is another story. We at PolluterWatch have collected an archive of these ads from the 1970's to 2004. In light of the recent revelations about the company’s early understanding of the issue, they’re worth re-examining. The ads on global warming in particular set out the history of the companies’ campaign against both climate action and the science. In the lead up to the Kyoto Protocol negotiations, Mobil, a prominent member of the Global Climate Coalition, was leading the charge on the “it’s not global” message calling for developing countries to be included in emissions reduction targets. Mobil focused on all the arguments against action on climate change that we still hear today. It claimed that developing country emissions were not addressed (the “blame China” argument). It said the climate models can’t be trusted. It called for more research. And it questioned the veracity of climate science. This argument later became the mantra of Republicans and industry opponents of international climate action, turning into a “blame China” campaign that stalled international action for years. And just one week later, on December 9, 1999, the merged ExxonMobil picked up the decades-long New York Times ad campaign with an ad titled: “Tomorrow’s energy needs”, emphasizing of course the plentiful global supply of fossil fuels, ExxonMobil’s preferred energy source. ExxonMobil is still running this argument today, using outdated, business as usual IEA scenarios to emphasize its point, and ignoring any of the IEA's “new policy” scenarios. Interestingly, the new revelations by Inside Climate News show that in the 1970s, Exxon was thinking well beyond oil for a spell, doing advanced research in solar power for example. The Chairman and CEO of the merged giant ExxonMobil was Lee Raymond, who had worked for Exxon since the 1960s. 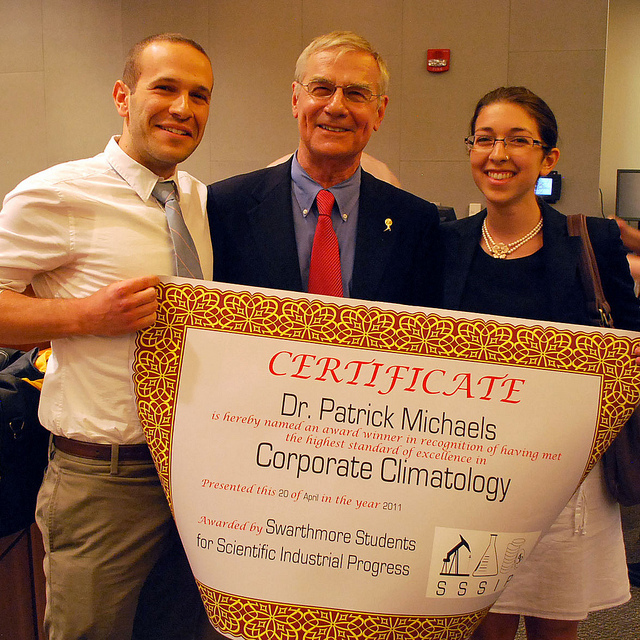 Raymond in fact chaired the American Petroleum Institute’s climate change committee, and twice chaired the API itself. Raymond was a hardened climate science denier, and his views were strongly reflected in a new turn in the company’s ads. Whereas Mobil had called for more research, and put the blame on developing countries, ExxonMobil embraced those arguments, but turned to outright denial. A week later, on March 23, 2000, ExxonMobil’s ad, “Unsettled science” focused on a 1996 study on temperature and climate in the Sargasso sea. At the company AGM in May that year Lee Raymond gave a presentation arguing the study showed how past temperatures appeared warmer than today, long before people began burning fossil fuels. "So the issue isn't only: is the earth warming, but why is it warming," Raymond told the meeting. "I believe ExxonMobil has been misleading in its use of the Sargasso Sea data. There's really no way these results bear on the question of human induced climate warming…I think the sad thing is the a company with the resources of ExxonMobil is exploiting the data for political purposes." October 28, 2000 – ExxonMobil launched an attack on the precautionary principle with “Unbalanced caution”. (Note: in 2014, renewable sources of energy accounted for about 10% of total U.S. energy consumption and 13% of electricity generation.1 Globally, in 2013 renewables accounted for almost 22% of global electricity generation, a 5% increase from 2012, according to the IEA). The ad’s companion the following week “…to a sounder climate policy” called for more research on climate change, an argument became the central plank of the Bush administration’s climate change policy. In June 2001, President Bush gave his famous Rose Garden speech on climate change, saying, in very similar words to Exxon’s, that Kyoto was “fatally flawed in fundamental ways” and then set out the same argument as Exxon – and Mobil – had been running since the mid-90’s: that big developing countries such as China and India were not part of Kyoto therefore it wouldn’t work. This remains the mantra of recalcitrant developed country nations today. In August 2001, Exxon’s ad “Sifting and winnowing”, while not directly mentioning climate change, argued that technological advances in energy were not progressing fast, and that the government should not give subsidies to new technologies – they had to stand on their own two feet. (Today, the fossil fuel industry receives around $37.5 billion a year in subsidies from the US Government). January 2004: The “Weather and climate” ad correctly stated that weather and climate are different, but again, the ad emphasizes the range of uncertainties about climate change. The list is a litany of climate denier arguments at the time (many of which are still used today), including the influence of the sun (led by the Smithsonian Institute’s "Willie" Wei Hock Soon, whose work was being funded by ExxonMobil at the time). We don’t have any more of these ads after 2004. But they continue today. In 2005, Lee Raymond retired as CEO and Chairman of ExxonMobil. During his time in this role, the company had funded climate denying think tanks to the tune of $18,593,923, with the highest year of giving that year, in 2005, at $3.47 million. Science writer Chris Mooney outlined some of that funding in Mother Jones. The following year, with new CEO Rex Tillerson at the helm, ExxonMobil began dropping its funding of some of these groups, saying in its May 2008 annual report that it was would no longer fund groups “whose position on climate change could divert attention from the important discussion on how the world will secure the energy required for economic growth in an environmentally responsible manner." Indeed it did drop some of that funding, and it fell back to around $800,000 in 2013, but rose again to $1.8m in 2014, after a $1m grant to the Chamber of Commerce Foundation. ExxonMobil’s paying of climate denial campaigns may have waned since Raymond’s term, but Tillerson is still campaigning against the solutions. At the company’s AGM in May 2015, he repeated his view that renewables are not economic, saying "we choose not to lose money on purpose." But he also repeated the same mantras seen over the decades: that the models weren’t very good, and that it would be difficult for the world to meet aggressive emission reduction targets. Technology, he said, can help deal with rising sea levels or changing weather patterns "that may or may not be induced by climate change." Last weekend was a wild one for climate action in our nation’s Capitol, between the protest outside a conference run by Koch Industries front group Americans for Prosperity and Sunday’s large street protest against the proposed Keystone XL tar sands pipeline that encircled the White House with over 10,000 people. Greenpeace presented Mr. Koch with a “Wanted for climate crimes” flyer featuring the faces of himself and brother Charles, and also asked about any changes in his view on climate change after a Koch-funded study appears to agree with what climate scientists have known for decades now—the globe is indeed increasing in average surface temperature. David Koch refused to answer questions, but clearly understood that accountability was expected for the $55 million he and brother Charles Koch have donated to organizations that work to confuse and deny the reality of climate science. Mr. Koch’s day wasn’t all bad—shortly before the encounter he was lauded by Herman Cain, who declared, “I am the Koch Brothers’ brother from another mother!” The statement lifted David Koch out of his seat for a strange Nixon-style salute to the AFP audience. Chairman Koch also got to hear from Mitt Romney, Rudy Giuliani, and fellow climate denial financier and AFP director Art Pope. Among numerous other issues, the keynote speakers attacked environmental protections and peddled fossil fuel extraction. Herman Cain stated the need for the US Environmental Protection Agency to undergo an “attitude adjustment,” a popular sentiment among attendees who were also offered a panel dedicated to hating on the EPA. Next up was a career polluter apologist from the American Tradition Institute, Chris Horner. Horner is also an affiliate of the Competitive Enterprise Institute. Horner’s current work involves harassing climatologist Michael Mann by seeking his emails from the University of Virginia, a favorite cause of climate denier and Virginia Attorney General Ken Cuccinelli, who was also present at the AFP conference. The EPA panel was concluded with the angry rants of Ann McElhinney, who has made a name for herself as an anti-environmental documentary filmmaker who circulates her films among various climate denier front groups. McElhinney accused environmentalists in general of being unequivocal liars while throwing some questionable claims* around herself. Claiming that “fracking is an absolute miracle,” McElhinney repeatedly attacked Gasland director Josh Fox for spreading a “message of hate” though his film. Similarly, McElhinney said that the proposed Keystone XL tar sands pipeline “is just wonderful,” and mocked the idea of an organized protest against Keystone XL two days later. What McElhinney said that did seem on point was, "at the moment, the story of energy is being told by people that tell lies." That certainly sounds right – if she meant the influence peddlers of the fossil fuel industry. But McElhinney then continued to demonize people with environmental concerns, rather than pointing out how polluters spend millions to influence our government through direct donations, lobbyists, trade associations, and front groups, including Americans for Prosperity and the very panelists McElhinney stood next to. 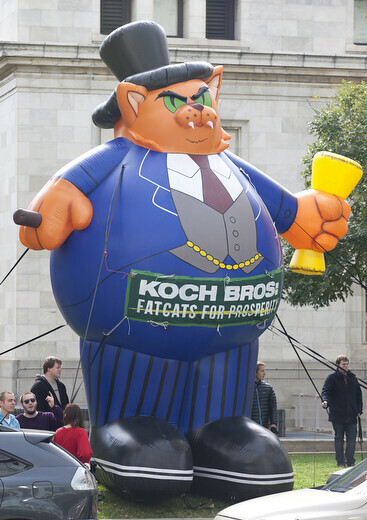 Koch Industries and Americans for Prosperity have become synonymous to the people who pay attention to the billionaire oil baron brothers and their many front groups. AFP itself was spawned from predecessor group, the Citizens for a Sound Economy Foundation (CSE), which split from its sister group to form AFP and Freedomworks. While the Kochs left Freedomworks alone, they continue to fund and govern AFP—David Koch is the chairman of the AFP Foundation and the group has received over $5.6 million from the Koch Brothers’ foundations, according to the most recent five years of their tax filings. Co-sponsors and allies present at the conference have received large checks from the Kochs over the same time frame, such as the Heritage Foundation ($2.2 million), the Institute for Humane Studies ($4.4 million), and the American Legislative Exchange Council ($275,858). Other known financiers of AFP and other corporate front groups, which often don’t have to report their donors, are the usual cadre of ideologically-driven conservative foundations backed by corporate interests who bankroll efforts to roll back environmental protections, attack health care reforms, increase corporate rights while decreasing corporate tax rates…check out the Lewis Powell memo for more history on how companies have seized our democracy. Check out our Americans for Prosperity PolluterWatch profile and our AFP Koch climate denial front group page for more information. Standing out most among Ann McElhinney’s misleading statements were two in particular. First, she claimed that the gas industry website FracFocus contains full disclosure of the chemicals used in hydraulic fracturing—it doesn’t. Second, she led the audience to believe that health concerns over tar sands water pollution [PDF] in Alberta, Canada were unsubstantiated. Specifically, McElhinney attacked Dr. John O'Connor, who discovered and was persecuted by industry (and industry-tainted government) for years for linking tar sands operations to unusually high cancer rates. This was formerly confirmed by the Alberta Cancer Board in May 2008, vindicating Dr. O'Connor. The cancer rates in the Fort Chipewyan area are 30% higher than expected rates. Most notably, McElhinney accused Dr. O’Connor of fabricating the death of a 33-year old in Fort Chipewyan, a community heavily polluted by chemical byproducts flowing up the Athabasca River. Read more about this specific industry/Alberta government attack on Dr. O'Connor in Andrew Nikiforuk's "Tar Sands," pp. 96-101. Written by Cindy Baxter and Kert Davies, crossposted from Greenpeace USA. When climate denier and astrophysicist Dr. Willie Soon wrote a controversial paper in 2003 that attempted to challenge the historical temperature records, we all raised eyebrows at revelations that the American Petroleum Institute funded it. When he co-wrote a (non-peer reviewed) paper in 2007 arguing that Arctic warming wasn't happening and polar bears were not threatened by the effects of it, we found that ExxonMobil and the billionaire Koch brothers had paid for it. So we went digging and came up with more – a whole lot more, released today in the new case study: Dr. Willie Soon, a Career Fueled by Big Oil and Coal. Not only did Big Oil punt hundreds of thousands of dollars to Soon, but Big Coal as well – specifically, the Southern Company, one of the largest coal burning electric utilities in the U.S. and in the world. Could this be why Soon (an astrophysicist) has been recently writing op-eds on how mercury is harmless and the mercury emissions from coal are minimal, with a byline saying that he has a strong expertise in mercury and public health. Southern Company says no in this morning's Reuters story. Soon has been relying on the fossil fuel industry for most of his career. Documents obtained from his employer, the Smithsonian Astrophysics Observatory (SAO), show that he has received no new funding from conventional, university sources since 2002. Since then, it’s been all about the Southern Company, a Koch brothers' foundation, ExxonMobil and the American Petroleum Institute – totalling over $1 million since 2001. Together with his colleague at the SAO, Sallie Baliunas, they brought in $1,153,000 since 2001 and only $842,000 from conventional sources. Were these companies working together? The API started funding Soon's work as far back as 1994 (he only graduated in 1991). The API was later joined by the Mobil Foundation, then by the electricity industry’s research arm, the Electric Power Research Institute (EPRI). The U.S. electricity sector is dominated by coal. In 1998, the API, ExxonMobil and the Southern Company sat round a table with other oil companies and think tanks they plotted and funded a Global Climate Science Communications Plan to undermine the climate science and support for the Kyoto Protocol that had just been agreed. "Victory will be achieved when... average citizens 'understand' (recognize) uncertainties in climate science"... read the plan. "Uncertainty" was also their objective for the media. The detail funding sources from corporate purses going to think tanks and front groups who will coach scientists with messages counter to the rising consensus on the global warming crisis. Even though this 'scandal' was front page news at the New York Times, our assumption is they did it anyway. So when they saw that Willie Soon was writing papers to try to show that it was the sun, not the increase in carbon dioxide, that was causing warming in the Arctic, did they then get together to ensure he got the funding for his work? Did they consider Soon (and Baliunas) a good investment for their corporations? In around 2003, Soon saw that the Intergovernmental Panel on Climate Change was beginning work on its next summary of climate science, the Fourth Assessment (AR4). Another document obtained by Greenpeace was a letter to colleagues hatching a plan to undermine the outcomes of the report, focusing on Working Group 1 (the science). "… I hope we can start discussing among ourselves to see what we can do to weaken the fourth assessment report..." he wrote. The letter was addressed to a range of climate deniers, but also to two people we can't find in our database of denier "scientists". The only names we can find that match two of the addressees – "Walt" and "Randy" – were the two Exxon staffers who had been at the centre of funding the denial campaign. Indeed, Randy Randol was the Exxon man sitting at the table plotting with the others in 1998. Meanwhile, Exxon has cut funding to a large number of climate deniers. Late yesterday, Exxon released its latest "Worldwide Giving Report", over a month overdue. It reveals that more career climate deniers have been dismissed by their major funder, ExxonMobil Foundation. What was a peak Exxon funding level of $3.5Million per year to these mouthpieces of climate denial, is now below $1M per year. Exxon IS still funding deniers like Heritage Foundation and American Legislative Exchange Council, but major deniers like the Annapolis Center, Atlas Foundation and others have now apparently been cut, as of 2010. A website campaign known as "Coal Cares" was launched on behalf of Peabody Energy today, offering to distribute free flashy inhalers to children living within 200 miles of a U.S. coal plant. According to a statement released shortly afterward by Peabody, "The site is in fact a hoax, making inaccurate claims about Peabody and coal." Sadly, Peabody's reputation doesn't reflect a willingness to own up to its ongoing peddling of coal, which causes death and illness from extraction to combustion. However, they are known for being Newsweek's most environmentally destructive company, their massive Black Mesa strip mining operation and persistent global warming science denial through mouthpieces like Fred Palmer and fronts like the American Coalition for Clean Coal Electricity. Peabody's statement continues [emphasis added], "Peabody is proud to help hundreds of millions of people live longer and better through coal-fueled electricity," except of course for at least 13,000 people in the U.S. coal prematurely kills each year from air pollution alone, let alone the impacts of strip mining, rail transport, mercury contamination, and other phases of coal's life cycle. Check out the conclusions of Dr. Paul Epstein, director of Harvard Medical School's Center for Health and the Global Environment, for the True Cost of Coal. While Peabody's statement pledges to be a "global leader" in scrubbing its inherently dirty operations, their money does not appear to be where their mouth is. Since the beginning of 2011, Peabody has already spent almost $2,000,000 on federal lobbying on numerous dirty legislative deeds, such as attacking the Clean Air Act, preventing pollution regulation of coal operations, promoting false Carbon Capture and Storage solutions, which the American Physical Society just declared to be prohibitively costly. Prior to 2011, Peabody spent over $20 million on similar efforts from 2008-2010, on top of almost $400,000 to federal politicians and their leadership PACs in the same time frame. More about the Peabody prank can be found on the website of the Yes Men, who have taken credit for the actions that Peabody should actually commit to. Too bad for the asthmatic children whose parents do have to take economic responsibility for the coal industry. Researchers at IndyWeek.com have created a graphic display of Art Pope's network, including Americans for Prosperity, Koch Industries, and the North Carolina legislature. Art Pope is the CEO of Variety Wholesalers and is a financier of a broad range of self-serving policies that favor the elite over the public interest. Through the wealth of the John William Pope Foundation, named after Pope's father, Art Pope has single-handedly contributed over $24,000,000 to groups that deny the science of global warming, dovetailing with the operations of Charles and David Koch. Pope's network of political operatives peddle public doubt over established climate science, elect politicians who deny global warming, push for repeal of successful energy policy (and instruct to "abandon" further attempts), attack socio-economic integration in public schools and push for widespread privatization of schools and the Internet, among other deeds. More on Pope's network can be found on his PolluterWatch profile. The fossil fuel industry knows that its time is running out. While their influence and profits are still enormous, we can see from increasing shifts to unconventional extraction methods--hydraulic fracturing, deepwater drilling, tar sands mining, and other examples--that easily accessible fossil fuels are dwindling. That's a pretty clear indicator that they will not last indefinitely, before even considering how burning dirty fuel to the last particle will cook the Earth, not to mention the casualties along the way. You know, like the Gulf of Mexico, or the people of the Athabasca watershed, or those whose wells are now full of poisoned [PDF] or flammable water. 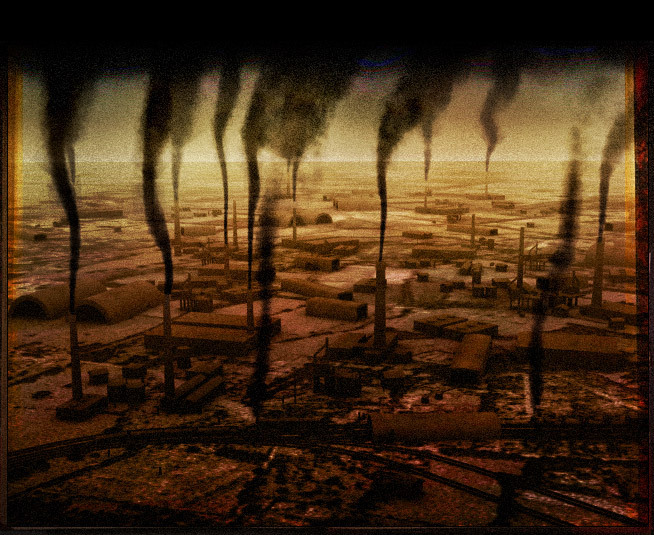 Unfortunately, for people who care about the future of humanity and the vast variety of species were are dragging to extinction [PDF] through the climate crisis, profit is the key factor for fossil fuel barons and their influence peddlers. With time running out and industry insiders well aware of it, Big Fossil is focusing on how to preserve itself for as long as possible. Creating a public relations war over the seriousness of global climate disruption has been the keystone tactic in this process. Companies recognize the benefits of investing in public doubt, and unfathomable sums have been dumped into this effort across the board, whether through the grossly unapologetic Koch Industries or ExxonMobil, or more slyly by the likes of Chevron or Duke Energy. Industry misinformation is then pushed to the public through astroturf front groups (like the Koch-funded and -founded Americans for Prosperity), through advertising campaigns (like those run by the American Coalition for Clean Coal Electricity), and by hiring "scientists" or "experts" with that special lack of integrity and credibility that allows a person to earn money at the expense of a far, far broader population. As this happens, Congress and federal offices are constantly being filled with polluter servants instead of public servants, taking massive campaign donations or cutting career deals in order to further enrich Polluters, Inc.
As if the battle wasn't uphill enough, we now have witnessed the first round of elections post-Citizens United, in which powerhouses like the U.S. Chamber of Commerce raised tens of millions of dollars from the corporate titans it serves and funneled the money into attack ads, sending a warning message to politicians who aren't bending over backwards for big business, if not delivering a crippling blow to their election campaigns. Now wouldn't be a bad time to look up the definition of "democracy." Google it now, before net neutrality is a thing of the past.